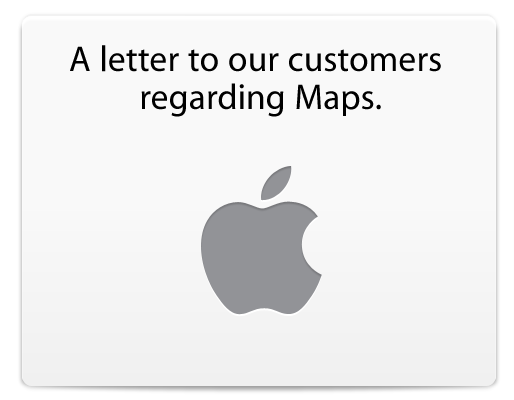 Apple just published an open letter from Apple CEO Tim Cook explaining to customers that it “fell short” in delivering the best experience possible with the new Maps app. Within the letter, Cook noted the company is doing everything to improve the app. However, it recommended a number of alternative apps and web apps for users to try in the meantime. Among his recommendations: Bing, MapQuest, Waze, or the Google or Nokia web apps. Links in the letter point customers to the featured section for mapping apps on the App Store and another to the graphic above showing how to install the Google and Nokia web apps. 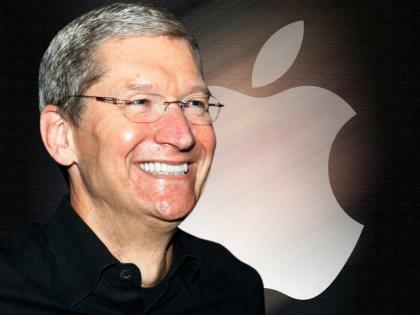 The letter is currently posted through a link displayed prominently on the Apple.com homepage.